Launched in 2008, BCtA aims to accelerate progress towards the Sustainable Development Goals (SDGs) by challenging companies to develop inclusive business models that engage people with less than US$10 per day in purchasing power (in 2015 dollars) as consumers, producers, suppliers and distributors. Over 230 companies, ranging from multinationals to social enterprises, and working in 70 countries, have responded to BCtA by committing to improve the lives and livelihoods of millions in developing countries through access to markets, financial services, affordable healthcare, water and sanitation, education and other critical services. Innovate More aims to foster financial inclusion for bottom of the pyramid (BoP) populations by working with unions and savings and credit cooperatives (SACCOs) which are the way through which most low income earners currently access informal banking services in Uganda. As most low income earners cannot access formal banking services, the unions and SACCOs offer basic savings and loan options to their members. However, unions and SACCOs do not traditionally have centralised information management systems. Many of them still use paper based records and/or simple desktop applications that are hosted on office computers as financial management systems. Such applications are very vulnerable to manipulation leading to fraud and mismanagement of customers’ finances. In addition, these applications do not allow integration of user friendly third party mobile tools like mobile money and SMS, which are vital in easing access of financial services to BoP populations. 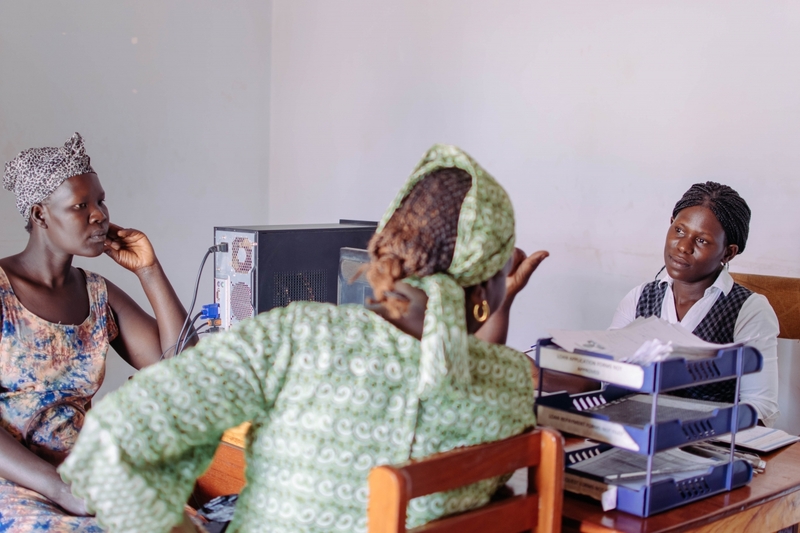 To address this gap, Innovate More is providing these institutions with a tailored, cloud based, mobile money powered information management system called MCENTE, through which users can manage their banking information, including account status, money withdrawals and payments, using their mobile phones from the comfort of their homes or any preferred location. The software helps unions and cooperatives to automate their operations and hence build operational efficiency, cut costs and improve their reach. MCENTE is tailored to the specific needs of each customer, and is able to easily scale to areas of poor internet connectivity though tailored access point networks. MCENTE currently has a membership of 56,000 low income earners across Uganda, which it plans to grow to 168,000 by 2023. But it doesn’t plan to stop there – Innovate More is currently in talks with Nigeria’s largest transporter’s union – with a membership of 2,000,000 members – and has also submitted a bid to the Development Fund for Local Authorities in Malawi - in order to scale its model outside of Uganda. “This is a grand opportunity for us to scale the financial inclusion services of MCENTE across Africa. We believe we have a product that can make a profound impact on the lives of low income earners by enabling more freedom and autonomy when it comes to managing their finances, and we look forward to seeing where these discussions go” said Musa Kisiriko, Innovate More’s Chief Business Development Officer. “Innovate More has listened to the market needs of the BoP and tailored a product specifically for them - this is a core principle to the success of any inclusive business. They are bringing financial independence to Uganda’s unbanked communities,” said Paula Pelaez, Head of Business Call to Action. About Business Call to Action (BCtA): Launched at the United Nations in 2008, BCtA aims to accelerate progress towards the Sustainable Development Goals (SDGs) by challenging companies to develop inclusive business models that offer the potential for both commercial success and development impact. BCtA is supported by  the Dutch Ministry of Foreign Affairs, Swedish International Development Cooperation Agency (Sida), Swiss Agency for Development and Cooperation (SDC), UK Department for International Development (DFID), and hosted by the United Nations Development Programme (UNDP). For more information, please visit www.businesscalltoaction.org. About Innovate More Uganda: Innovate More Uganda Limited is a Ugandan fintech social enterprise that was started and incorporated in 2016. It aims to foster financial inclusion of Uganda’s unbanked communities (80% of the total population) through working with savings and credit cooperatives, SACCOs, and unions.